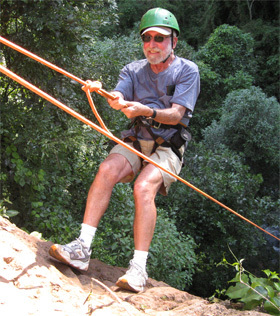 California Native founder Lee Klein on zip-line over rain forest in Veracruz, Mexico. Last week California Native’s founder and president, Lee Klein, attended ATMEX, the Adventure Travel event in the State of Veracruz, Mexico. It was a great opportunity to meet again with adventure tour providers in Mexico and develop future partnerships for providing California Native adventures in this exciting and beautiful state. Along with friends in the adventure travel industry, Lee rafted down the Rio Antigua, zip-lined over the canopy, and hiked and kayaked in the Sierra de Los Tuxtlas, a secluded rain forest located in the shadow of a volcano. In addition to it’s wonderful opportunities for outdoor recreation, The State of Veracruz offers a treasure chest of historic and cultural sites. 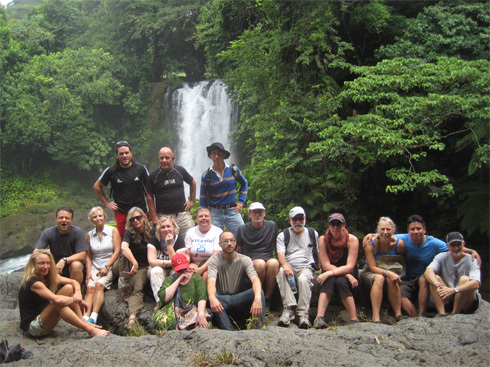 California Native’s Lee Klein (5th from right) with group at Los Tuxtlas waterfall. Last week I attended ATMEX, the Adventure Travel Event in the State of Veracruz, Mexico. It was a great opportunity to meet with adventure tour providers in Mexico and lay the groundwork for future partnerships to develop California Native tours to this beautiful region. We joined with Mexico Verde Expeditions and rafted down the Rio Antigua, zip-lined and mountain biked in the rainforest nearby the village of Jolcomulco. The State of Veracruz offers a plethora of historic and cultural destinations in addition to its wonderful opportunities for outdoor recreation. Please let me know if you are interested in joining us on future tours to the historic and wildly scenic State of Veracruz. 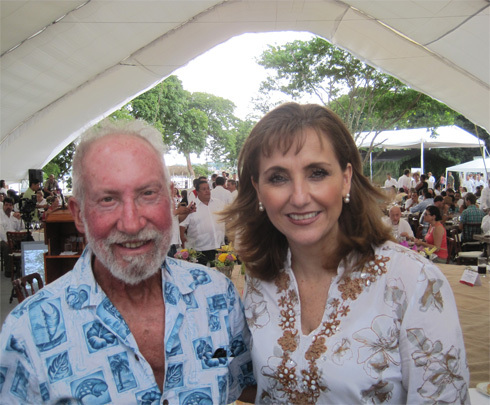 California Native President Lee Klein and Mexico's Minister of Tourism Gloria Guevara at ATMEX. 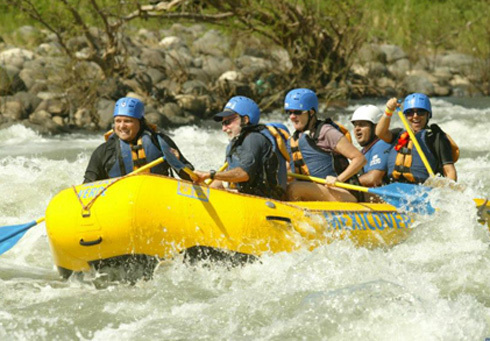 White water rafting on Mexico's Rio Antigua with Mexico Verde Expeditions. California Native founder Lee Klein is the guy in front wearing sunglasses. California Native's Lee and Ellen Klein pose with other travel professionals and writers in sculpture for Pan American Games. 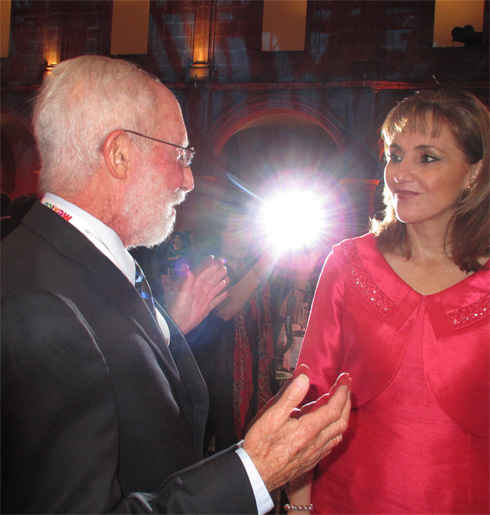 A few weeks ago we traveled, as guests of the Mexican Tourist Board, to the city of Morelia, Michoacan, to attend the 2nd Annual Feria Mundial De Turismo Cultural, a world tourism and cultural trade show which featured tourism vendors from all over Mexico, as well as international tourism representatives. 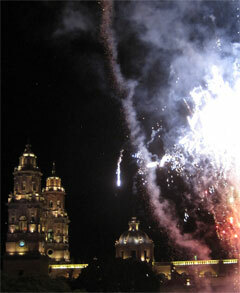 Fireworks light up the sky over the cathedral in Morelia, Michoacan, Mexico. 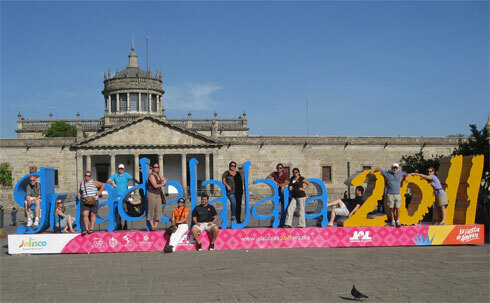 In Morelia, the show attendees included tourism professionals, travel agents, press, and photographers from all over the world. 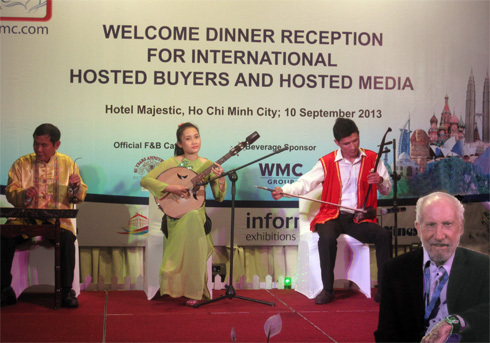 Along with the trade show, we attended cocktail parties which featured local gastronomy and music, and were treated to a special performance of the Ballet Folklorico de Mexico. 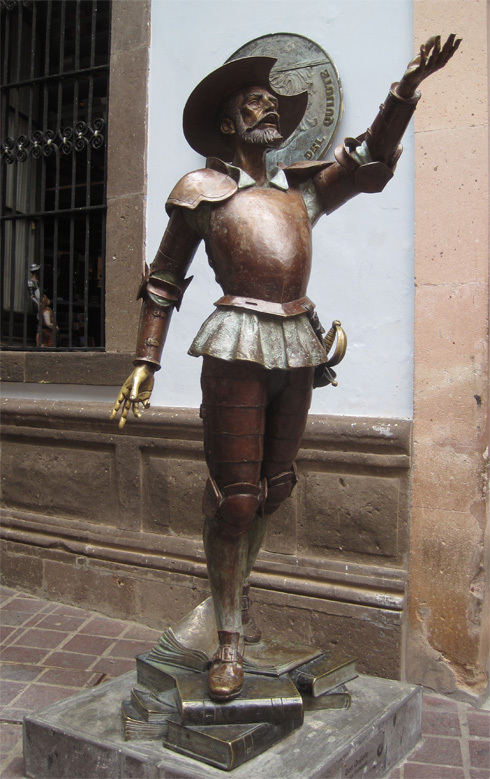 During our time in Morelia, the city celebrated the birthday of José Morelos, for whom the City is named. Morelos was a priest and revolutionary rebel leader who led the Mexican War of Independence movement after the execution of Miguel Hidalgo, in 1811. Four years later he was captured by the Spanish and also executed. The city holiday is celebrated with parades, festivities, balloons, streets closed to cars, and families celebrating everywhere. The day is capped off with a dazzling pageant and fireworks show at the Cathedral. 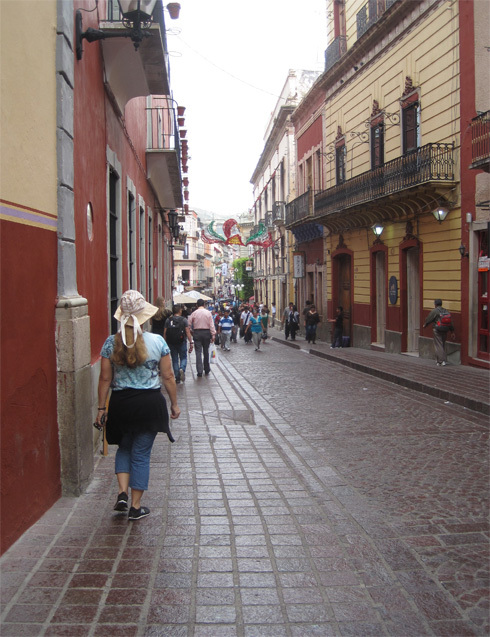 We then traveled to Guadalara, which was was buzzing in preparation for the Pan American Games, a competition held between athletes from major countries of the Americas every four years. 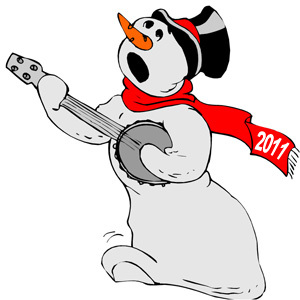 It is the second largest multi-sport event after the Summer Olympics. Everything was decorated—there were ticket booths, public art, banners, and sculptures about the games everywhere. From Guadalajara we followed the Tequila Route to the town of Tequila, visiting the fields of blue agave and some of the distilleries, where we learned all about how the libation is made and the fine art of drinking it—which we diligently practiced for several days to make sure that we truly had the technique down (pun intended). We also visited the cellars of the Jose Cuervo distillery and drank some of the “Family Reserve”—some of the best tequila we’d ever tasted. Stay tuned for a future blog with the whole Tequila story. What did we learn on this trip? 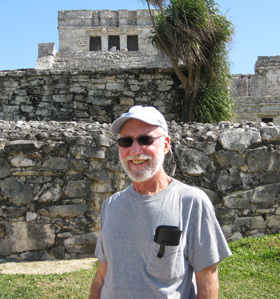 That Mexican tourism is alive and well and the value for our U.S. and Canadian dollars is great. 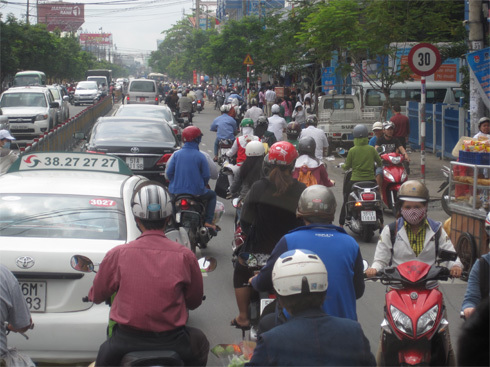 We never gave a thought to safety—we felt comfortable everywhere and we ventured on our own by local buses to nearby towns. We learned of so many new places we’d love to visit in Mexico, and we hope to introduce them to you, our California Native travelers, in the near future. 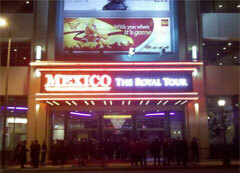 The film, “Mexico: The Royal Tour,” premier in Los Angeles. Last night we attended a VIP Reception and Premiere showing of Mexico: A Royal Tour, a film by Peter Greenberg for PBS. 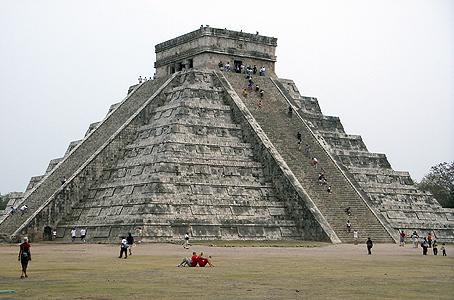 In the film, President Calderón takes Greenberg on a tour of Mexico—but not your average tour. 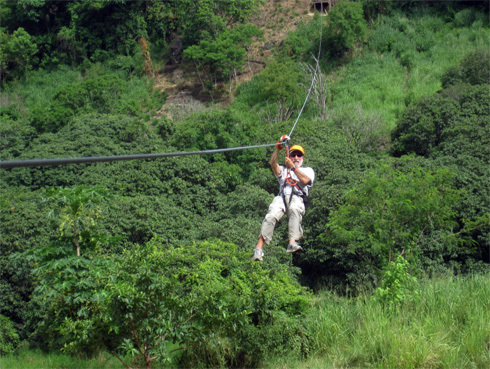 It’s a spectacular visit to many beautiful and unusual places with lots of adventure, including zip-lining, scuba and more. The President and his family clearly enjoy being the tour guides, and showing off these fabulous and interesting places, well-known and not so well-known. There is also discussion of the current security misconceptions. In the end, you will want to get on the next flight south. 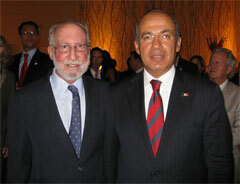 California Native President, Lee Klein, and Mexican President, Felipe Calderon. We arrived at the JW Marriott at LA Live in downtown LA, were given wrist bands, checked off several security lists, then passed through a metal detector and into a small ballroom. We enjoyed drinks and conversation with other celebrities such as Los Angeles Mayor Antonio Villaraigosa, Mexico’s Secretary of Tourism, Gloria Guevara, other dignitaries associated with both Mexico and the film, and entertainment icons including George Lopez, Russell Brand, Lionel Richie, James Caan, and Cindy Crawford. 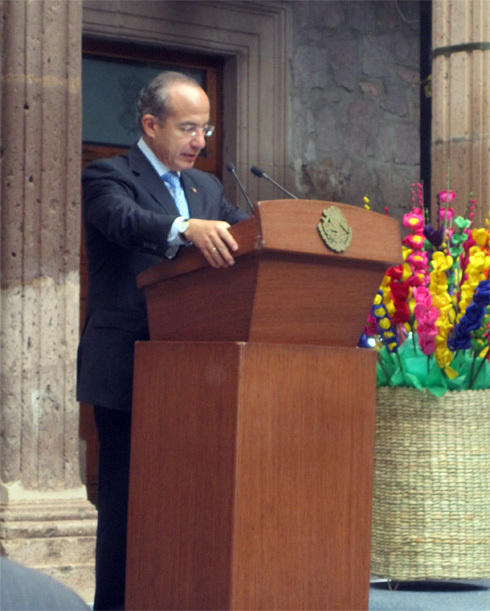 Then there was a buzz, lots more security, and the arrival of President Felipe Calderón and his wife, Margarita Zavala. After the camera flashes subsided, we were able chat with the President for a few minutes—our second meeting. 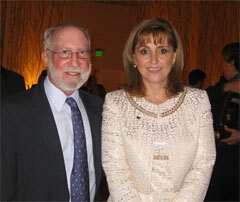 California Native’s Lee Klein and Mexico’s Secretary of Tourism, Gloria Guevara. We moved on to the movie theater, and found seats with our names on them directly behind the President, the Mexican dignitaries and Greenberg, and next to the film’s director. After some speeches, the film began and we were entranced. Afterward, talking to the Director, we learned that Mexico’s Copper Canyon was to have been part of the tour, but there were some weather issues on the days slated for filming so they did not film there. From previous conversations with President Calderón, we know that Copper Canyon is one of his favorite places in Mexico. 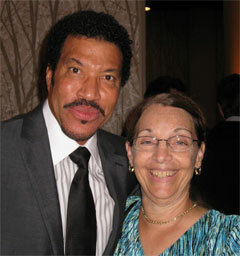 California Native’s Ellen Klein and singer Lionel Richie. The movie premieres on Thursday, September 22, 2011 on many local PBS station (check listings for time) and will air several times in the next couple of weeks. 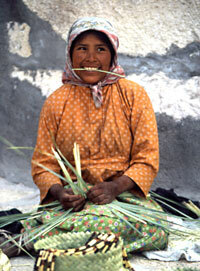 After the movie, check out our website and join us for a wonderful adventure in Mexico. As we come to the end of another year, it’s time to reflect on what we have accomplished in the last year and what we are looking forward to in the new year. Last year was quite an eventful year for The California Native. 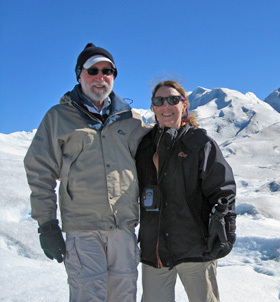 We made another exploration trip to Patagonia, sailing around Cape Horn on a wonderful expedition cruise, hiking on glaciers with crampons, and whitewater rafting through Argentina’s beautiful countryside. We also made several trips to Mexico, one at the invitation of President Calderon to attend a luncheon with him and celebrate the initialization of a campaign to promote the wonders of Mexico’s colonial cities. 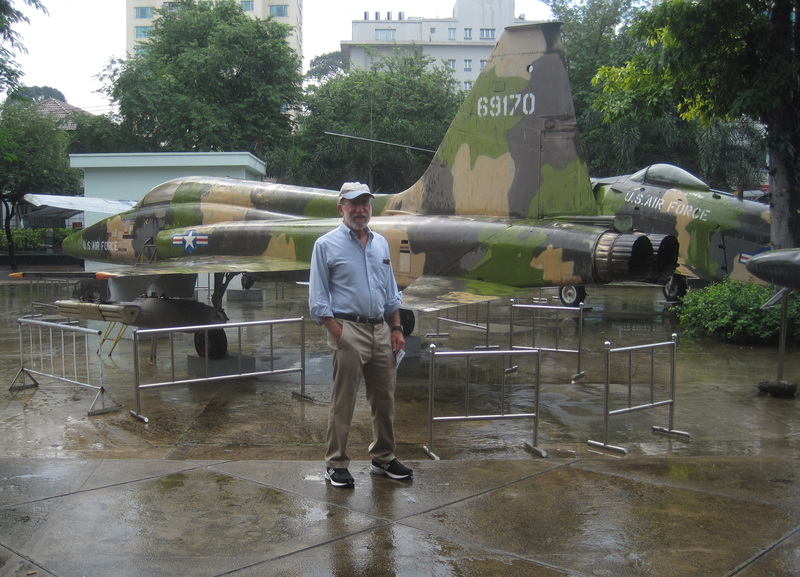 For the upcoming year we will be offering new trips in Patagonia and China, as well as additional departure dates for our Copper Canyon trips. 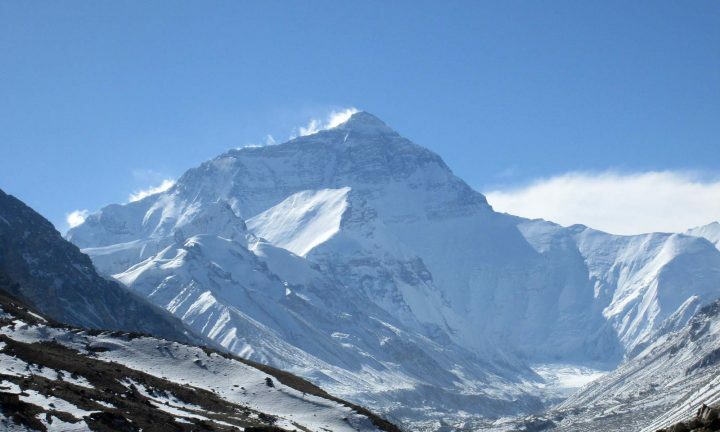 And of course we’ll continue to offer our exciting tours of Costa Rica, Peru, Galapagos, Bhutan, Myanmar and Ireland, and our other off-the-beaten-track destinations.